The Samsung Galaxy Tab, be it the Tab 2, the Tab 3, or any size variant of the device, is among the very best options a person has when it comes to tablets that run on the Android Operating System. However, even the Samsung Galaxy Tab has its share of issues and problems, and one of the most common ones is the reboot loop issue. Any model or any variant of the Samsung Galaxy Tab can, sometimes, get stuck in a reboot loop where the device keeps powering off and powering back on again repeatedly for what seems like infinity. 1. As bizarre as it may sound, performing the following steps has solved the Samsung Galaxy Tab reboot loop issue for a large number of users across the globe. 2. Plug the Galaxy Tab’s charger into an outlet, and then connect the tablet to the charger while it is rebooting. 3. Press and hold the Power button for anywhere between six and ten seconds, and the device will power down. 4. 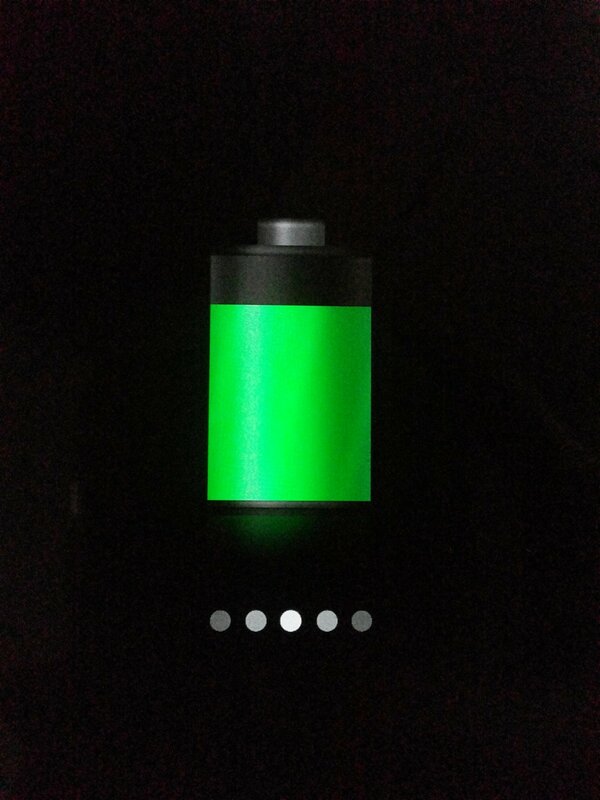 When the device’s screen lights up after shutting down, it will display a ‘battery charging’ icon instead of restarting. 5. Allow the Galaxy Tab to be fully charged to 100%. 6. 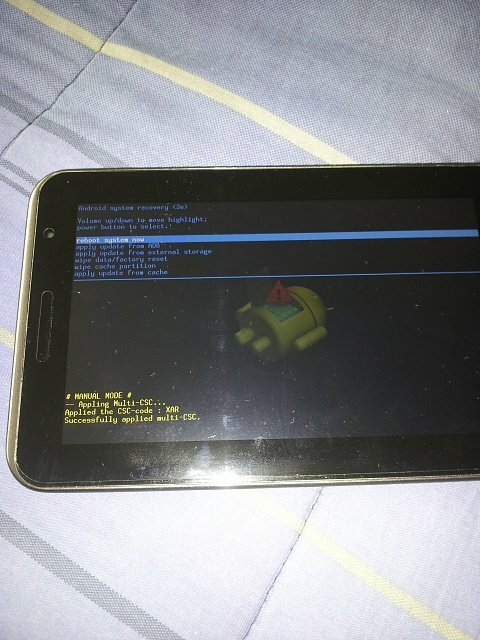 Once the tablet has been charged completely, disconnect it from the charger and power it on, and the tablet will no longer be stuck in a reboot loop. 1. Turn the Galaxy Tab off. 2. Once the tablet has shut down, press and hold the Volume Up and Power buttons simultaneously until the Samsung logo appears. 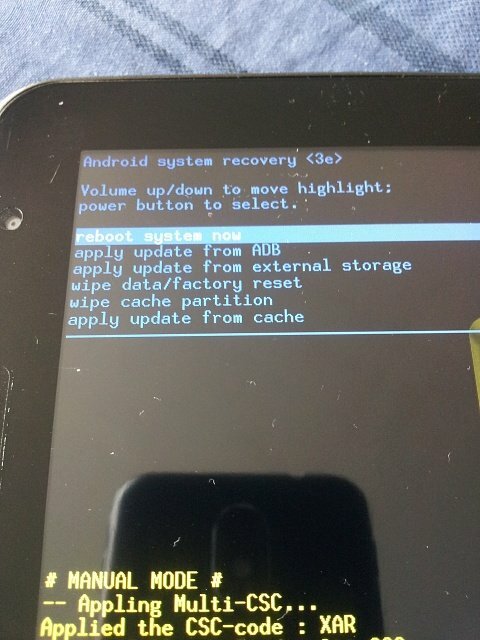 The Samsung Galaxy Tab will boot into ASR (Android System Recovery) mode. 3. Use the Volume rocker to highlight the ‘wipe cache partition’ option and the Power button to select it. 4. When the Galaxy Tab’s cache has been erased successfully, highlight and confirm ‘reboot system now’ in the main menu to restart the tablet. 2. Turn the device off and boot it into Recovery Mode using the procedure described in Solution 3. 3. In Recovery Mode, use the Volume rocker to highlight the ‘wipe data/ factory reset’ option and the Power button to select it. 4. On the next screen, highlight and confirm the ‘Yes – erase all user data’ option. 5. Wait for the device to be reset to factory settings. 6. 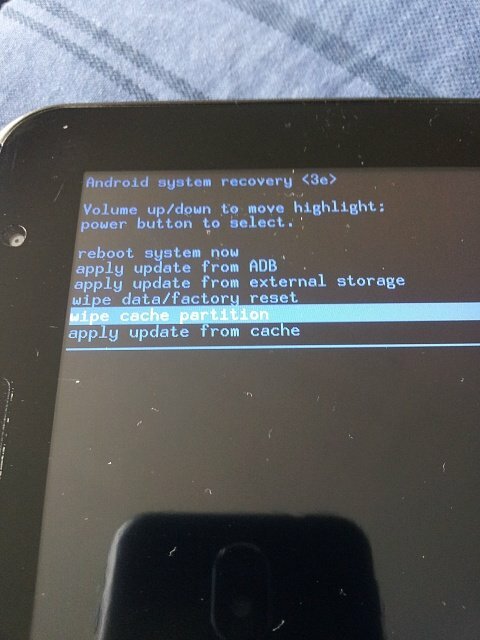 Once the device has been reset, select ‘reboot system now’ from the Recovery Mode menu to reboot the device into the Android OS.